Specializing in Termite and Pest Management Services. Family owned and operated with over 40 years experience. Termites and ants have a lot more in common than most people would think, especially when it comes to pest control. Termites and ants are responsible for the largest volume of phone calls to our office each year. Not all winged ants can cause wood damage, however carpenter ants do, and like termites they are considered part of the hidden invaders family because they are unnoticed and cause billions of dollars each year of wood and structure damage to homes and buildings. 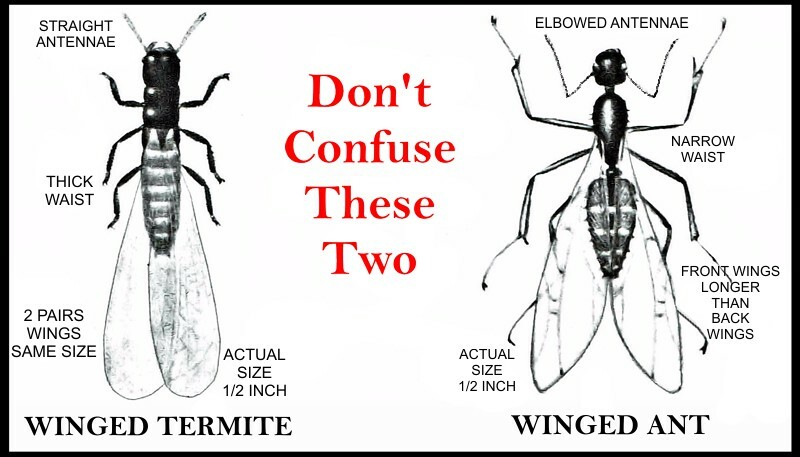 Hopefully by knowing the difference you will have a better idea of what to look for when it comes to termites and ants. Call your local certified pest professional today to ensure your environment is protected the SAFE-WAY.